Royal Caribbean has begun offering guests a behind-the-scenes tour of the crew's life on select sailings. 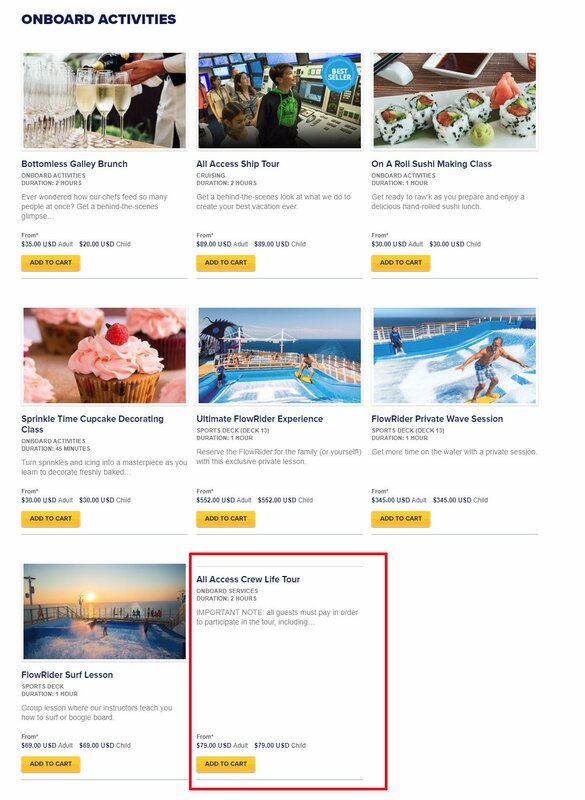 RoyalCaribbeanBlog reader Chris spotted the new "All Access Crew Life Tour" option in the Cruise Planner site. This appears to be a new tour offered, where guests can get a glimpse of what it is like to live on a cruise ship. The tour costs $79 per guest, and lasts for two hours. As is often the case with new Cruise Planner options added recently, the site lacks a full description. Typically, we see the full gamut of information added to the Cruise Planner site over the next few days. This tour may not be available on all sailings. To check, log into the Cruise Planner and check under the "Entertainment & Activities" section. For guests looking to get a look at what goes on behind closed doors on their Royal Caribbean cruise, there's now an option to take a guided tour from the cruise line. Royal Caribbean calls it the All Access Tour and is available on all of Royal Caribbean's ships starting with the July 2011 sailings. 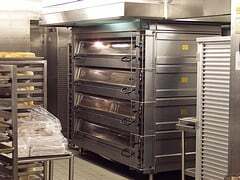 The new All Access Tour will include a tour of the ship's bridge, galley, backstage to the main theater, engine control room, and more. . On cruises of less than seven nights, there will be at least one All Access Tour. Cruises of seven nights or longer will have two tours at least. Royal Caribbean confirms more tours can be added based on passenger demand. The tours are 3.5 hours in duration and cost $150 per passenger. The All Access Tour can be purchased onboard with the Concierge, Crown & Anchor Society Loyalty Ambassador, or at guest relations. The new All Access Tour come two years after Princess Cruises and Carnival Cruises began offering behind-the-scenes tours on their cruise ships.